Ozone Information Technology Solutions is the local distributor of GFI Software’s new GFI Unlimited solution. The company describes it as a game-changing subscription model that provides small and medium-sized businesses (SMBs) with access to all the network security and communications software they need to power their business and all at one flat subscription rate. The approach helps GFI channel partners become irreplaceable technology allies to their customers while growing their own businesses with a consistent and predictable revenue stream. GFI Unlimited’s single, low-cost subscription unlocks access to the entire GFI Unlimited software portfolio. Today, this includes more than a dozen full-featured, powerful network security and communications solutions, proven by thousands of users all over the world – with more products being added all the time. 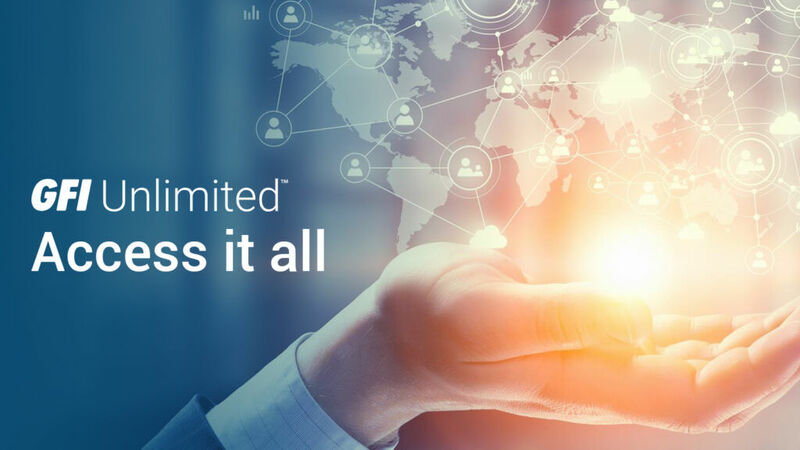 GFI Unlimited is available now through Ozone Information Technology Solutions and currently includes: GFI OneGuard, GFI OneConnect, GFI LanGuard, GFI WebMonitor, GFI Archiver, GFI MailEssentials, GFI FaxMaker, GFI EndPointSecurity, GFI EventsManager, Kerio Connect, Kerio Control and Kerio Operator. Pricing starts at R290 (exchange rate dependent) per user for a one-year subscription, including technical support for all products.